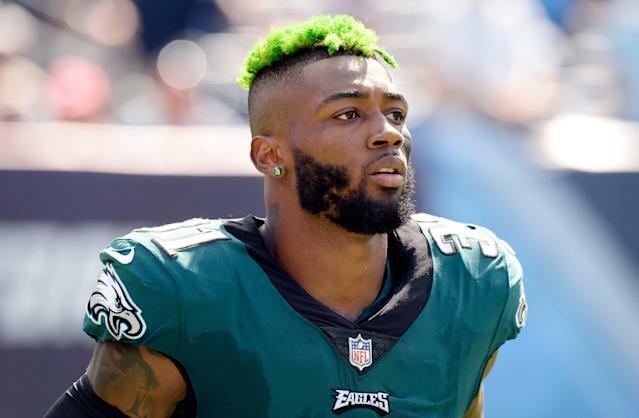 It appears Eagles cornerback Jalen Mills came out well ahead from his reported fight with Washington Wizards forward Devin Robinson on Saturday, and now the 25-year-old is apologizing for the fight ever having happened. “In response to the events that took place last weekend, I want to sincerely apologize to the Philadelphia Eagles organization, my coaches, teammates and my fans. I can assure you this will not happen again,” Mills said. Notably missing from that apology is Robinson, who had to be taken to the hospital after the fight according to NBC Philadelphia. That’s not too eyebrow-raising, if reports on the circumstances surrounding the fight are true. Per NBC Philadelphia, the fight reportedly occurred shortly before 3 a.m. Saturday morning next to the Opera Ultra Lounge in downtown D.C. after a verbal argument. Mills and Robinson were both arrested for “disorderly affray,” and Robinson was also taken to Sibley Hospital for treatment of unnamed injuries. That story of inter-sports violence, a fight between an NFL and NBA player, was odd enough, and then Les Bowen of the Philadelphia Daily News tweeted out what a source said was the cause of the fight. Yep, Robinson was reportedly so upset that Mills, who plays for a division rival because he was drafted by the team, had the gall to step foot in D.C., that the two had came to blows. While Robinson, a Virginia native, might have a little more attachment to the Washington Redskins than your average Wizards player, that is still an insane story. You don’t need to think very hard to understand the chaos such a policy would create if it went mainstream among athletes. As if ending up in the hospital wasn’t enough for Robinson, the fight also cost him his job. That’s a rough, but self-inflicted, development for Robinson, who has appeared in eight games across two seasons with the Wizards organization after signing with the team as an undrafted free agent.